The Oxford chemist talks science, entrepreneurship and career. Abboud has already been feted across the world of science, winning several prestigious awards from both academia and industry. Recent alumna Martine Abboud (BS ’13) has been making major strides in the sciences. After graduating from LAU, where she received the President’s Award for academic excellence and leadership skills, she obtained her doctorate in chemical biology from the University of Oxford. She is now a junior research fellow at Oxford’s Department of Chemistry, where she co-supervises students, teaches, and does research. She has already been feted across the world of science, winning several prestigious awards from both academia and industry. In the past year alone, she was elected as an Outstanding Young Scientist by Baden-Württemberg International in Germany, received the first-ever Eddy Fischer Lindau Fellowship from the Vallee Foundation in Boston, and was named a Future Leader by CAS, a division of the American Chemical Society. Dr. Abboud was featured on the Periodic Table of Young Chemists, a project by the UN and the International Union of Pure and Applied Chemistry in commemoration of the International Year of the Periodic Table of Elements (she represented the element cerium). Moreover, Dr. Abboud was selected to represent Oxford at the 68th Nobel-Lindau Laureate Meeting, in which early career researchers convened in the German town of Lindau and exchanged insight with over 40 Nobel Laureates – an experience she has dreamed of and truly cherished. 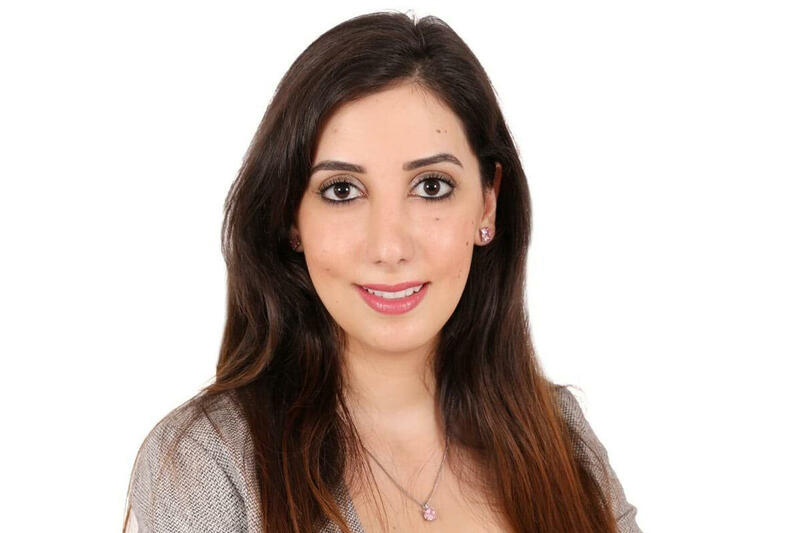 To top it all off, Dr. Abboud was featured in the Europe category of the 2019 Forbes 30 Under 30 list-Science and Healthcare. Abboud’s science is described in over 30 publications to date. She is equally an active science communicator, event organizer, and writer. Here, Dr. Abboud speaks about her academic career. What sparked your interest in the sciences, and chemistry in particular? I have always been driven by curiosity, so I decided to pursue a career in scientific research. At the undergraduate level, I started by learning biology to better understand physiological processes and their pathological implications. Soon after, I realized that biology and chemistry are complementary and that an understanding of both fields is important to achieve results of clinical relevance, so I went for a secondary focus in chemistry; both at LAU. My research lies at the interface of biology, chemistry and biophysics and has led to novel method development and advances in three different areas of scientific research: (i) oxygen sensing, (ii) antibiotic resistance, and (iii) metabolic alterations involved in cancer. (i) Drugs that boost the delivery of oxygen are of interest in the case of anemia and cardiovascular diseases, while turning off oxygen delivery could be advantageous in treating tumors. My studies have helped us understand the oxygen-sensing response and informed new drug development. (ii) Antibiotic resistance is an immediate and growing global health threat. My work on profiling known clinical inhibitors has helped inform practice on the susceptibility of such inhibitors to degradation. Furthermore, my work has enabled the development of a new class of inhibitors that have a novel mode of action. (iii) More recently, I have become interested in how altered metabolism promotes cancer. Research into these effects might have therapeutic benefits for patients with cancer and can potentially better inform on the diet. Have you been able to meet with any of your scientific/academic heroes since your career took off? My role model in science is a bright mind who makes impactful contributions and who is a beautiful human being at the same time. To me, academic merit is as important as being kind. During my career, I have met with many role models, including Nobel Laureates, my former supervisors, bright academics, world leaders, incredible entrepreneurs, and NASA managers. Each encounter brought me a new perspective. I learn a lot on a daily basis, including from my students – every person has an insightful experience to share. Do you plan on coming back to Lebanon to establish a career here? Serving others is at the core of LAU’s mission, and this is something I deeply believe in. I would love to start my group in Lebanon, as I aspire to meaningfully contribute to society. There is nothing better than leaving a legacy. In a more challenging environment, everything becomes more exciting. My dream is to give back to my society by helping build a research and entrepreneurial center in the Middle East. Last year, I worked with Oxford Entrepreneurs in organizing the Oxford Hackathon. Over 300 students from 90-plus universities attended. Many students had innovative ideas and would thrive if they were given the right opportunities and support. I hope to inspire the next generation of scientists by building bridges between science and entrepreneurship in both the Middle East and Europe, as science has no nationality. For this purpose, I have co-founded M’s Academy, a start-up that helps individuals to succeed and thrive. What advice would you give to rising young scientists in Lebanon? Curiosity is the driving force of a scientist. The most exciting discoveries arise from mistakes. My advice is: Think critically and troubleshoot all the time. Be proactive and seize new opportunities, as experiences help you to learn and grow. More importantly, talk to strangers. It is never too late to embark on new journeys.